How a WINNER rounds the final Turn! 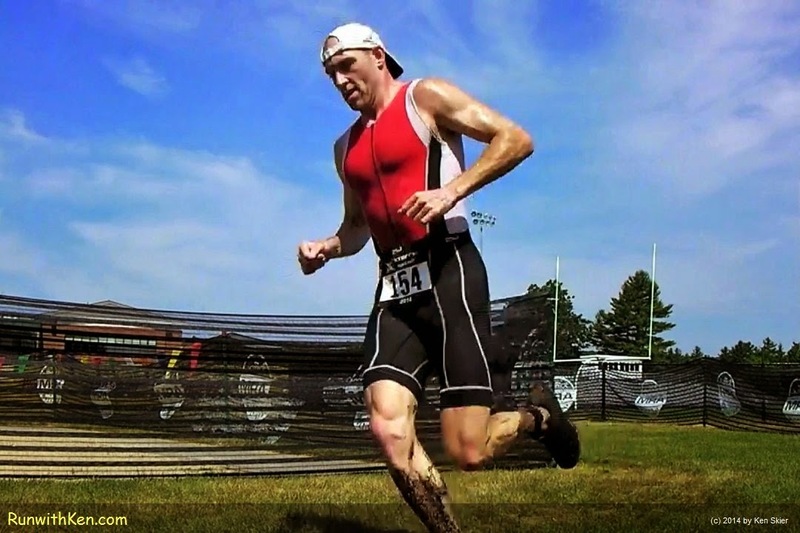 Running to the finish line at the XTERRA French River Triathlon in Oxford, MA. for the finish line a few yards away. what's that mud on his leg? that could swallow a Sherman Tank. (I'm sure he didn't mind.